One of the best resources that high school students have at their fingertips is our amazing library. This year, the librarians flipped the tables on the new high school students for their orientation. 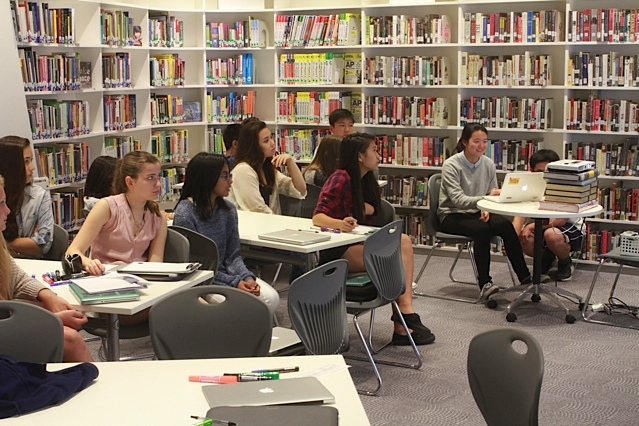 Instead of being told what is where in a lecture that would soon be forgotten, students were challenged to discover different resources in the library and then present to their classmates. In small groups, students investigated the tools available both physically and digitally through the library. Then the groups gave presentations on everything from how to reserve a conference room to where to find research citation guides. Students find information easier to remember when they have uncovered it themselves or when it has been shared with them by a peer, so turning the students into the librarians is a great way to help them remember the resources and services available in the library to support their academic work.